Requires an iPhone 4S, iPod touch 5th Generation, iPad 2 or newer. Crunching American football with fully armoured Orcs, Skaven, Dwarfs, Humans and, even, Wood Elves... Do we really need to say more? Blood will flow; bones will be crushed... and, after all that, someone might even score a touchdown! Inspired by the Warhammer world, Blood Bowl: Kerrunch is an addictive, fast-paced, ultra-violent combination of strategy and sports... It's also, most likely, the best sport ever invented! - Fight your way through 200 challenging levels to reach the Grand Final! 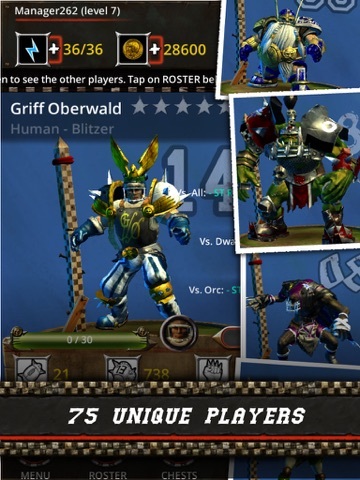 - Collect legendary players from the world of Blood Bowl! - Did we mention that you get to have a fully armoured Troll in your team? Play 5 vs. 5 football against Orcs, Dwarfs, Skaven, Wood Elves or Humans. Level-up your players, control the action and win the title! 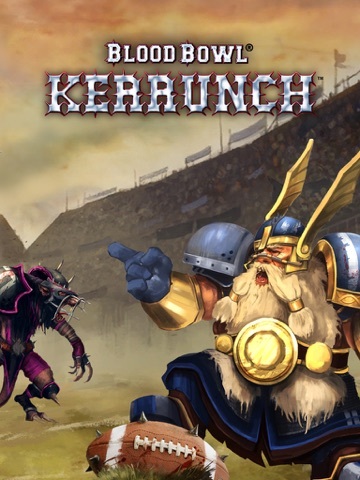 Inspired by the Warhammer world, Blood Bowl: Kerrunch is a fast-paced combination of strategy, sports and violence. EASY TO PLAY Take control of the match with a simple and intuitive gameplay! 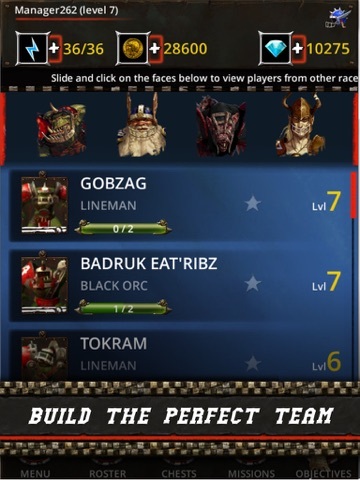 Tap the receiver to pass, tap the carrier to trigger a run... LOTS OF CONTENT Unlock and evolve 75 unique players from 5 different races, from the agile Wardancers to the powerful Black Orcs. 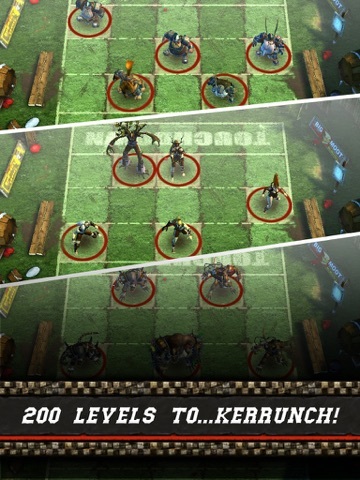 2 GAME MODES Fight your way through 10 championship divisions to reach the Grand Final or challenge other coaches in the PvP league ** Blood Bowl: Kerrunch is a highly detailed game with superior quality 3D graphics, it supports iPhone 4s and up, iPad 2 and up, as well as iPod touch 5th Generation and up. ** *** GET READY FOR SOME EPIC FOOTBALL! 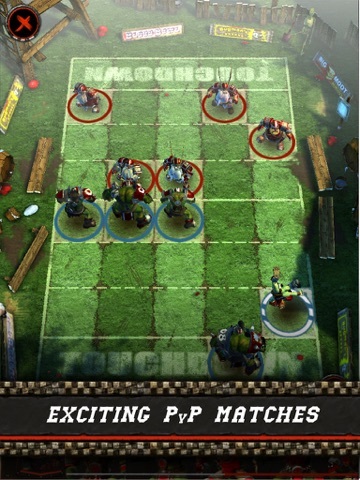 *** - Live matches with stunning 3D graphics - Simple and intuitive controls - Evolve your players, develop their skills - 200 solo levels - Multiplayer league - Customize your team name and logo - Achievements and daily missions Join us on: www.facebook.com/BloodBowlKerrunch Blood Bowl: Kerrunch © Copyright Games Workshop Limited 2015. Blood Bowl: Kerrunch, Blood Bowl: Kerrunch logo, Blood Bowl, the Blood Bowl logo, GW, Games Workshop, Warhammer, and all associated logos, illustrations, images, names, creatures, races, vehicles, locations, weapons, characters, and the distinctive likeness thereof, are either ® or TM, and/or © Games Workshop Limited, variably registered around the world, and used under licence. All rights reserved. Is this a legit blood bowl game? 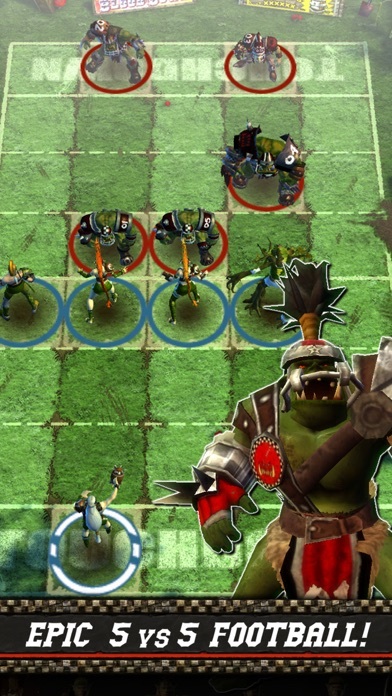 We need original blood bowl for iphone or universal app..
What be we looking at here? A simplified TBS? Lane-based RTS? (Moderately) Pretty pics to accompany a mafia wars-style clicker? EDIT: Thanks, JCPET, for your clairvoyance. I must say, the game doesn't look very appealing at all. Also noticed this company Cyanide only has a couple games and they are rated badly so I dunno what's up. I'm not seeing it at all on their site a few diff blood bowl Games but not this one maybe I'm looking in the wrong place or something but I followed the link or maybe they took it down for whatever reason. It's not out worldwide I know that much. Found it in the New Zealand App Store for free. Downloading now. This game is live in US now. Downloading it right now. 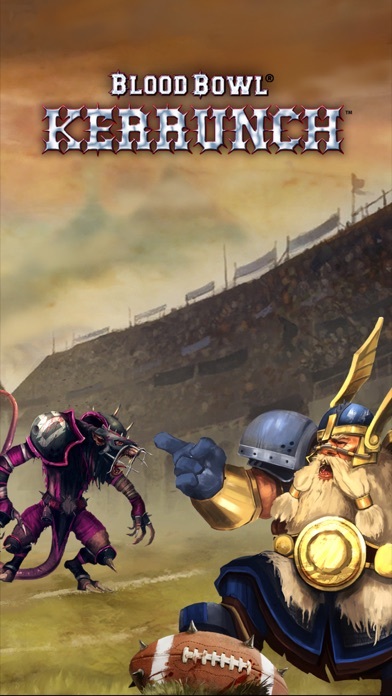 I love Cyanide's Blood Bowl PC games but I fully expect this to be terrible since they are trying to make a light mobile friendly twitchy version despite the fact that the Blood Bowl full game rules could be easily made to work on mobile. Honestly, you wouldn't even need fancy 3D graphics. So as a big Blood Bowl fan, my initial impression is MEH. This is basically a generic card battler done with a Blood Bowl theme and a slightly different take on automated battles. There are 5 teams; human, orc, dwarves, skaven, wood elves. You need 5 players of a particular race to play with them, and you start with 5 humans. Different units take different amount of 'tokens' to unlock. For instance, a troll might take 2-3 tokens, while a goblin probably takes 1. These tokens are obtained completely randomly from chests which cost premium currency, or semi-randomly from playing single player stages. You also need to get a character's specific tokens after you unlock them to 'evolve' them, increasingly their base stats. Keep in mind this game is driven on base stats. Regardless of how clever you might think you are with your team layout, characters with higher stats will quickly steamroll you. 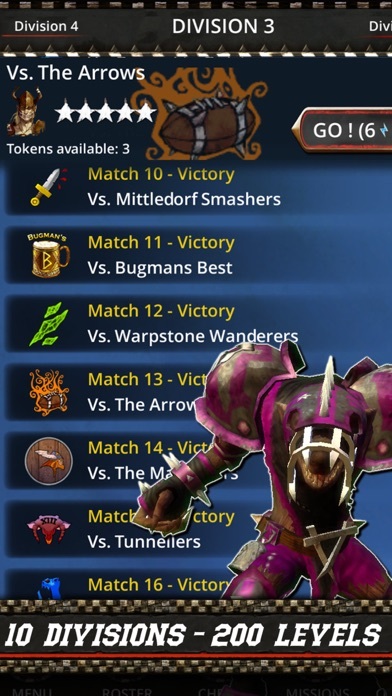 You have little to no control during battles, so there is no clever strategy to make up the difference in strength like in the actual Blood Bowl game. The game has stamina limiters, as well as a static limitation of 5 multiplayer fights a day. There are a few skills per character, but they basically just give better stats versus certain races. Many units don't really make sense stat-wise, as I've unlock elves and skaven with far more strength than some of my orcs, and humans with far more agility than my skaven. This game could potentially be fun for BB fans as a collectable-centered freemium title. However, there simply are not enough races and corresponding units to keep things interesting long. In addition, considering the game was soft launched about a month ago, I'm surprised how shaky it seems to be on my Air. I regularly found the game to be taking a while to load or freezing for a short time before I could select something. Overall fans of BB might get a little bit of free enjoyment from trying to unlock enough units to play a specific team, but I think most of us can agree we would be far more likely to invest into new races for the mobile BB than see this continued to be supported. After playing for about 10 minutes I have to wonder if they tested the game... It's given me sync errors constantly which makes the game restart and then I can't do anything except close the app and restart. I want to give this game a chance but DAMN! But for some reason I have been looking forward to this one the minute I heard about it. 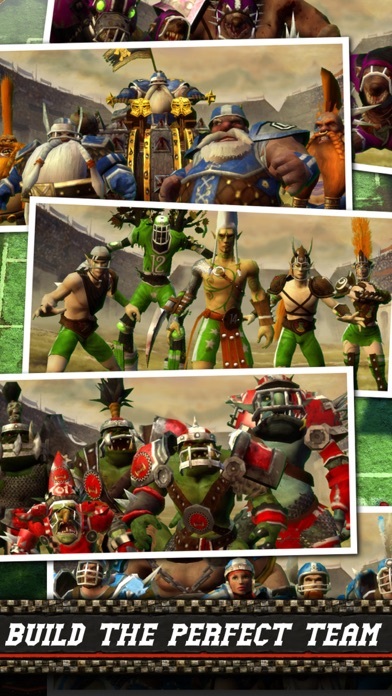 I really would like to play blood bowl 2 read about it and it looks awesome but I think it's PC only? BB2 is on PC and consoles. I was hoping for a true Blood Bowl 2, one that was a little easier to understand than the first. I was playing for a bit earlier. If you treat it as a more in-depth clicker, rather than a hollow strategy/tactics game, then some fun can be had I think. Can't see myself coming back every day like they pester you to though.